In May 2017, Google announced that it has partnered with "one of the leading OLED makers" to develop a high-end VR display. Google is now set to demonstrate this display at SID 2018 in May. 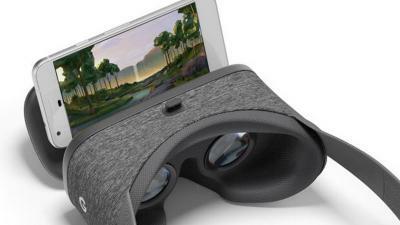 The new Google-designed display is a 4.3" 18Mp (1443 PPI, probably around 5500x3000 resolution) VR display featuring a refresh rate of 120 Hz. This will be the highest-density OLED display ever (not counting OLED-on-silicon microdisplays). Current VR AMOLEDs in production reach only about 600 PPI. A 1,443 PPI is highly impressive for a 4.3" AMOLED. In May 2016 Samsung publicly demonstrated 5.5" 806 PPI OLEDs, and according to reports Samsung were able to produce a 1,200 PPI AMOLED in March 2017. The company's goal is to reach 1,500 PPI, and as we said SDC's current OLED in actual production reach only 600 PPI. One way to reach such high densities in FMM processes was suggested in November 2016 by Sunic Systems with its plane-source evaporation process that can reach very high densities. The 100 um mask announced in November can indeed a PPI of 1,500. This may be the system that Samsung is now using. Sunic says that eventually this technology will enable even 2,250 PPI. But it turns out that Google's partner is actually LG Display, who will be presenting this display technology alongside Google. Google already uses LGD's displays in its Pixel 2 XL smartphone, and in 2017 it was reported that Google wants to invest $872 million in LG Display in order to secure flexible OLED capacity from the Korean OLED maker. In March 2017 LG Electronics announced that it is developing a new VR headset that uses dual 3.64" 1440x1280 (529 PPI) 90Hz OLED displays, produced by LGD. This 4.3" display is made on glass (this is not an OLED-on-silicon. A report from 2016, by the way, claimed that LGD is looking into a dedicated OLED-on-silicon production line for VR microdisplays) and to achieve this super high density it uses a white-OLED with color filter architecture (maybe WRGB, but this was not disclosed). The backplane is a n-type LTPS and a custom high-bandwidth driver had to be designed to control this high-density display.